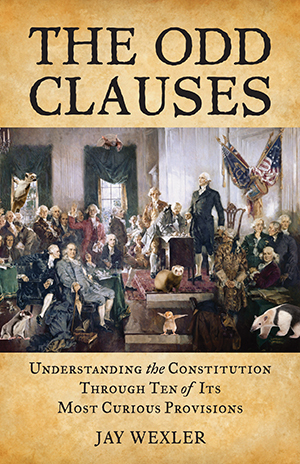 An innovative, insightful, and often humorous look at the Constitution’s lesser-known clauses, offering a fresh approach to understanding our democracy. Including its twenty-seven amendments, the Constitution contains about eight thousand words, but the well-known parts make up only a tiny percentage of the entire document. The rest is a hodgepodge of provisions, clauses, and rules, including some historically anachronistic, some absurdly detailed, and some crucially important but too subtle or complex to get popular attention. This book is about constitutional provisions like Section 2 of the Twenty-first Amendment, the letters of marque and reprisal clause, and the titles of nobility clauses-those that promote key democratic functions in very specific, and therefore seemingly quite odd, ways. Each of the book’s ten chapters shines a much-deserved light on one of the Constitution’s odd clauses-its history, its stories, its controversies, its possible future. "The book provides a fresh vantage point from which to consider the Constitution."